Casa Marluis House is located in the heart of Old Havana, viewed by many as the perfect place to stay in Havana, with its historic ambience, narrow colonial streets, historic squares and beautiful colonial architecture. Plus, just a 10 minute walk from the old quarter you’ll find Centro Habana and Vedado, while a 10 minute taxi ride along Havana Malecon and 5th Avenue will have you in the upper-class Havana neighborhoods of Playa and Miramar. Casa Marluis House is in an exceptional location from which discover Old Havana on foot. Right from your base at Casa Marluis House you’ll be able to first discover Old Havana’s myriad of historic buildings and beyond. Old Havana is both historic and exciting and Casa Marluis House will have you right in the thick of the action. Casa Marluis House provides spacious rooms located in a historic building, all include; shower, refrigerator, TV, air-conditioning and an outside terrace to soak up the sun and people watch. Your Cuban hosts at Casa Marluis House are extremely knowledgeable about Old Havana, offering free advice on uncovering the many mysteries of the old quarter of Havana. You can choose to take breakfast and meals at Casa Marluis House or select from the abundance of cafes and paladar restaurant eateries in Old Havana or the Havana Seafront Malecon, all close to Casa Marluis House. Popular Paladar Restaurants in Old Havana for guests at Casa Marluis House are Restaurant Dona Eutimia and El Bistrot Paladar Restaurant on the Malecon. 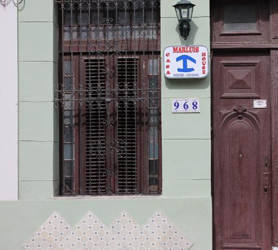 Casa Marluis House provides secured parking for your Rent a Car in Old Havana. Many visitors choose to start their Havana vacation in the old town of Havana, then rent a car to visit other places like Viñales Valley, Playas del Este or Varadero. Feeling adventurous? Arranging to pick up your Car Rental in Old Havana will mean you’re on your way quickly to explore other parts of Cuba after your initial time in Old Havana. At Casa Marluis House your Havana rent a car is parked right next to your Old Havana Casa Particular, guaranteeing quick access to the many sights further afield. Check out our rates for discounted Economy cars in Old Havana to 9 seat Minivans in Old Havana when you book Casa Marluis House, you’ll save even more money on your Cuba holiday. Having a Rent a Car is by far the best addition to your Old Havana homestay! Our booking process is unique because it shows the best rate for Casa Marluis House in Old Havana and the exact rooms available for your chosen dates. 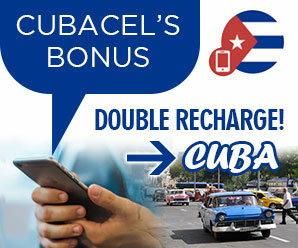 Our Casa Particular booking network is an industry first for Cuban Homestay properties. Once you’ve compared the rates, finalizing the booking at Casa Marluis House takes just seconds and an immediate confirmation is provided in real-time.